Have Openings in Your Patient Schedule? More than 80 percent of patients research online before choosing a doctor. 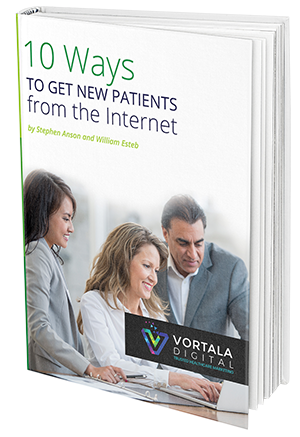 Download our free eBook today for 10 actionable ways to get new patients from the Internet. How to use social media to build patient community. How to improve your online reputation on review sites. How to build a digital presence that encourages patients to choose you. Download now and start tapping into a stream of eager new patients! Request a free, no-obligation consultation.